Fulmer Family Dentistry can help restore your smile after tooth loss, tooth decay, or injury with dental implants and crowns. For patients who have lost an entire tooth, particularly due to tooth decay and periodontitis, dental implants can replace the tooth and prevent further damage to the jaw. When a tooth is lost completely, the bone surrounding the tooth can be lost without dental care, causing pain and changes to your jaw line if left untreated. Dental implants are metal anchors inserted into the jawbone that allow the bone tissue to regain strength and structure. Dental implants also allow for an artificial tooth to be placed in the post that restores your smile and alleviates pain. Artificial teeth are attached to a metal post inserted in the dental implant and match your other teeth for a beautiful smile. The placement of dental implants typically involves two surgical procedures over a 3 to 6 month period. The first surgery places the dental implant in your jawbone and recover time allows your jawbone to adhere to the metal implant regain structure and strength. After the first surgery, patients are required to wear a protective dentures and avoid hard foods that may damage the dental implant or slow healing. The second surgery places the metal post that is shaped like a tooth into the dental implant. A crown is then attached to the metal post that looks like a regular tooth, restoring your smile and ability to chew and enjoy life. If you have experienced severe pain in your tooth or have lost a tooth, a dental implant consultation is a good place to start to see if a dental implant is right for you. 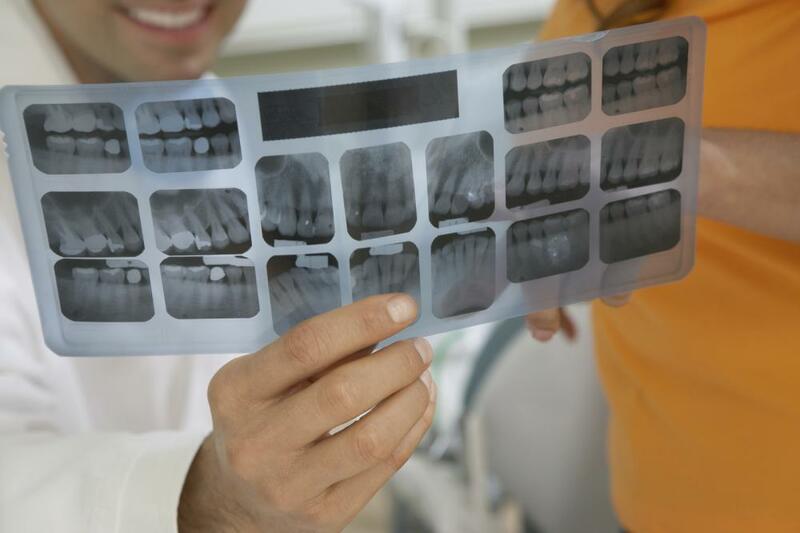 Dental crowns and bridges are ideal for patients whose teeth have been damaged by cavities, accidents or other events that destroy the structure of the tooth above the gum. Other times crowns and bridges are used to restore teeth that have been damaged aesthetically to return a patients natural looking smile. Installing crowns is a multi-visit process that is relatively painless, often less painful than an extraction or filling. To install a crown, the dentist removes the top damaged layer of the tooth down to the softer tissue inside of the tooth. After the tooth has been cleaned of damage and any decay from cavities, a temporary crown is placed on the tooth to cover the more sensitive inside of the tooth and protect it from further damage. Patients must avoid chewing hard food while waiting for the permanent crown to be placed, which usually is less than a few weeks. Once the new crown arrives at our office, we schedule another appointment to fit the dental crown to your tooth, remove the temporary crown, and adhere the new crown to your tooth. After a short period of waiting for the adhesive to dry, you can return to using your teeth as you normally would and enjoy your new beautiful smile. 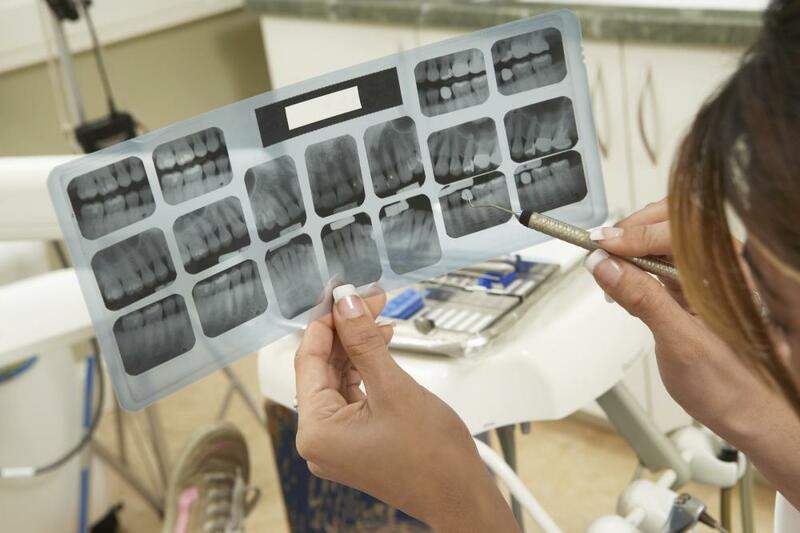 If you’ve had a large cavity, multiple cavities, or damaged your tooth in an accident, a dental crown can be the right solution to restore your teeth’s structure and beauty. Schedule a consultation to find out if a crown is right for you. 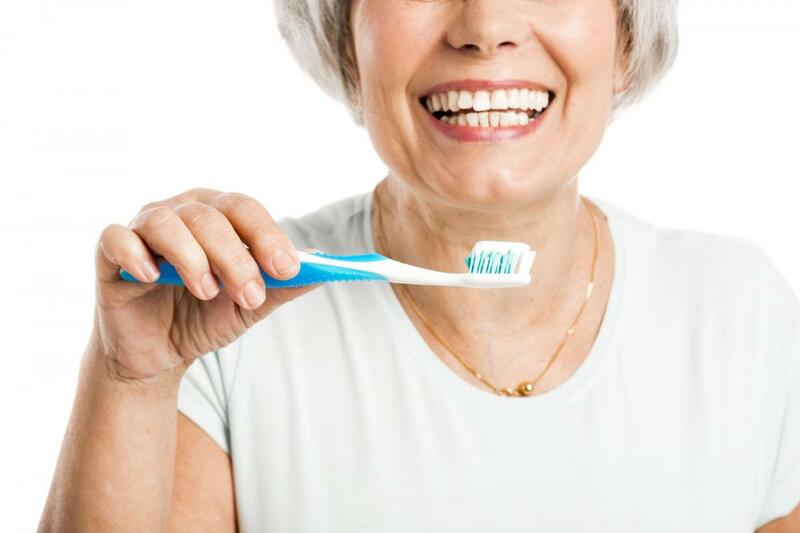 When patients have lost a number of teeth due to tooth decay or accidents, dentures are often a solution to restore the cosmetic appearance and function of teeth. Full dentures replace all teeth on the upper or lower jaws or both whereas partial dentures replace only some teeth throughout the mouth. Dentures are often made of a combination or plastic and ceramic to resemble healthy teeth and new technologies have made dentures more natural appearing in recent years. Dentures are fitted after extraction and healing of damaged teeth and can be fitted to dental implants or other endodontically treated teeth to help secure the dentures comfortably. Dentures can be permanently fitted to provide a more secure and comfortable fit or removable depending on patient needs. Throughout the course of wearing dentures, they can become ill-fitting as the bone and gum ridges change in response to tooth loss. If you experience the need for messy and uncomfortable dental adhesives or experience sores due to ill-fitting dentures, scheduling an appointment at our Conway office can help resolve these issues to give you more comfortable and secure dentures with new dental technologies.